We offer window cleaning on a regular basis or just a one-off clean. Windows can be cleaned inside as well as outside. 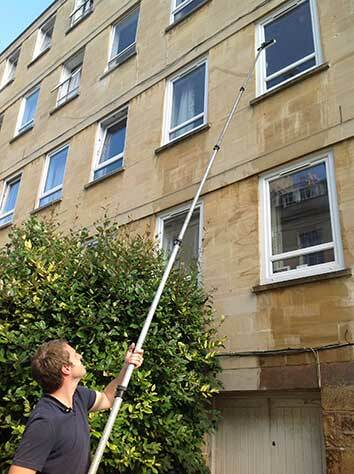 Barnes Property Services uses the Reach & Wash System using water fed poles and purified water to clean the outside of windows, this ensures we can access all windows safely. We use the traditional method when cleaning the inside of properties. Occasionally we may clean external windows using the traditional method. Barnes Property Services are also members of The Master guild of Window Cleaners and always maintain the highest levels of Health and Safety, and professionalism. 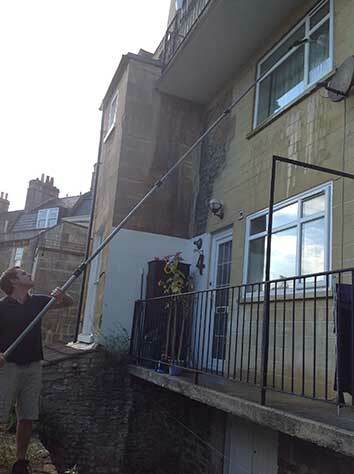 Barnes Property Services has regular Domestic Window cleaning clients as well as Commercial Window cleaning clients. 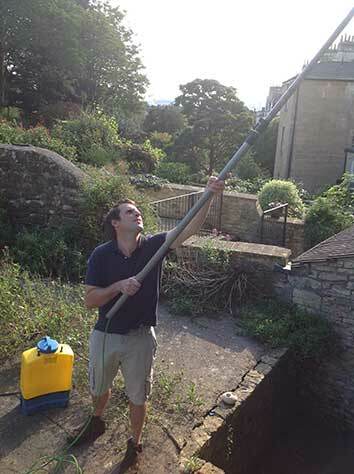 We can offer our professional Window Cleaning service in the following areas: Bath, Bradford on Avon, Corsham and surrounding villages. If you are looking for a regular window cleaner or just require a one off window clean then we would be happy to help. Our Roof Cleaning service includes cleaning slate and tile roofs, removing moss and lichen. Using purified water and our water fed poles we gently clean your solar panels to ensure they work to their maximum potential. Remove dirt and grime from your Garage door, UPVC Cladding, Fascia’s & Soffits. We have extensive experience in pressure wash driveways, patios & stonework to make them look like new!